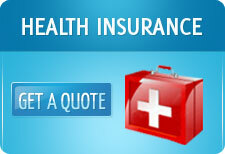 It is absolutely vital that as one approaches old age, one has a substantial health insurance cover. The probability that one’s health care expenses would increase substantially is almost a given. In this piece we look and compare the different health insurance plans that are available in the market for senior citizens. While every health insurance company wants to insure the young (and almost by definition, more healthy), there are very few plans which provide health insurance to people beyond 60. Another interesting thing to note here is that most of the health insurance plans for senior citizens is offered by the public sector general insurance companies. Varistha Mediclaim by National Insurance: This policy can be bought by anyone between 60 and 80 years of age. Renewals can be done upto the age of 90. Between the age bands of 76-80, premiums have an added factor of 10% and between 80 to 90 years of age, premiums are grossed up by 20%. The sum insured under this policy for hospitalization is Rs 1 lakh. For critical illness, the sum insured is Rs 2 lakhs. Under the critical illness cover, diseases such as cancer, renal failure, stroke, organ transplants etc are covered. If the person has already been insured for 3 years through a health insurance policy, then he or she does not have to undergo a medical test, else there has to be a medical test under the prospective customer’s costs. For domiciliary treatment, the maximum claim is fixed at 20% of the sum insured. Ambulance charges upto Rs 1000 are covered under this policy. For a mediclaim cover of Rs 1 lakh and a critical illness cover of Rs 2 lakhs, the premium varies between Rs 6200 (for a 60-65 year old) to Rs 9200 (for a 75-80 year old). One interesting feature of this policy is that pre existing hypertension and diabetes are covered from the 1st year itself of the policy by paying 10% additional premium for each of the two diseases. Pre existing is of course not available for the critical illness policy. Other pre existing diseases are covered after 1 policy year. Dialysis, chemotherapy and radiotherapy for preexisting ailment is never covered. Claims are paid only for events that occur within India. Claims which occur within the first 30 days of the commencement of the policy will not be covered, unless in the case of the person being insured with an Insurance Company without break for the past 12 months. For the purpose of this policy, pre existing diseases such as cataract, piles, fistula, hernia, benign lumps, joint replacement etc will not be covered in the first 12 months. War related medical claims, vaccination, spectacles cost, plastic surgery, corrective dental surgery, venereal disease, vitamins and tonics which are not part of the treatment, nuclear disaster related health claims, alternative treatment like homeopathy etc are excluded. Opinion: We think it is one of the best policies for senior citizens, except that the sum insured is low. They are quite generous as far as the norms for entry age and pre existing diseases are concerned. 2. Senior Citizen Specified Disease Plan by Oriental Insurance: In this plan, the policyholder has the option to choose sum insured of Rs 1 lakh, 2 lakhs, 3 lakhs, 4 lakhs or 5 lakhs. One restrictive feature of this policy is that 20% of any claim amount has to be co-paid by the insured. Cashless payment through TPA is restricted to Rs 1 lakh. This plan covers 10 specified diseases: cancer, renal failure, heart diseases, liver related diseases, COPD (lung ailment), stroke, prostrate, orthopaedic disease, ophthalmic disease, accidental injury and knee replacement. The amount that one can claim for a particular disease is restricted as a percentage of the sum insured (for e.g., 50% of the sum insured can be claimed for cancer, while 20% of the sum insured can be claimed for stroke). A sum insured of Rs 1 lakh will cost Rs 4500 for a 65 year old, while it will cost Rs 6400 if one is eighty years old or beyond. While this may seem cheaper than National Insurance’s Varistha medical scheme, it is less wide in scope. This policy has an interesting refund of premium clause if one withdraws from the policy: if the policyholder gets out of the policy within the first month, 75% of the premium is returned and if he opts out between 3 to 6 months of the policy, 25% of the premium is returned. In this policy, pre-existing diseases are not covered for a period of 2 policy years. Other exclusions are very similar to those of National’s Varistha medical scheme. Opinion: a good scheme in terms of the level of sum insured and price, but the scope of diseases covered is restrictive. Another issue is that pre-existing is covered only after 2 policy years. Mediclaim for Senior Citizens by New India Assurance: This policy is available for senior citizens between 60 and 80 years, and the sum insured can be Rs 1 lakh or Rs 1.5 lakhs. Pre existing diseases are covered after 18 continuous months of coverage , while for diabetes and hypertension to be covered, additional premium needs to be paid. Pre hospitalization is covered for 30 days, while post hospitalization is covered for 60 days. An insurance of Rs 1 lakh for a 65 year old will cost Rs 3850 while it will cost Rs 5150 for an 80 year old. Thus, premiums are very competitively priced. If one wants to extend beyond 80 years, then loading of 10% or 20% has to be paid. For pre existing diabetes or hypertension, an additional premium of 10% each has to be paid. One interesting feature is that there is a 10% discount if one’s spouse is also covered under this policy. This policy also has the same partial refund norms on cancellation as Oriental’s Specified Disease Plan. Claims would be paid only for medical treatment in India. The exclusion conditions are standard, and are very similar to National’s Varistha Mediclaim. Opinion: Attractively priced. Sum insured ceilings are low. The product brochure is silent on co-pay, and thus there is no co-pay requirement in all probability. United India Insurance’s Specified Disease Plan: In this policy, sum insured of Rs 50,000 to Rs 300,000 is available to people between 60 to 80 years of age. Sum insured of Rs 1 lakh will cost Rs 3715 for a 65 year old, and Rs 8613 for an 80 year old. So while it is cheaper for the younger age bands, it is a bit expensive for the older age groups. An interesting feature of this policy is that there is a hospitalization cash payment from the 3rd day of hospitalization on payment of a particular additional premium. While other exclusion features of this policy are comparable to that of the previous 3 policies that we have discussed, the biggest problem of this policy is that this has a pre-existing waiting period of 4 years. Star Health’s Red Carpet Plan: This plan has been a good marketing success. While one barely gets to hear about the reasonably broad, well priced schemes of the 4 nationalised companies, the market is quite excited about Star Health’s Red Carpet scheme. The sum insured under this policy can be for Rs 1 lakh, Rs 2 lakhs, Rs 3 lakhs, Rs 4 lakhs or Rs 5 lakhs. Age of entry is restricted between 60 and 69 years. Pre existing diseases are covered from the 1st year itself, except for those preexisting diseases for which the insured received payment in the preceding 12 months. Subsequently, these pre-existing diseases are covered. There are sub limits under this policy wherein different diseases have different limits as a percentage of the sum insured. Sum insured of Rs 1 lakh will cost Rs 4900 at entry, while a sum insured of Rs 5 lakhs will cost Rs 20000.. The biggest catch in this policy is that there is a 50% co-payment for pre existing diseases and 30% co-payment for other diseases!! Other exclusions are very similar to what is there for the nationalized companies. Opinion: Simple, well marketed claim. But the co-payment terms are a huge negative! The ceiling for maximum age at entry is quite low (69 years), though the guaranteed renewal feature is a big positive. Also, the sum insured levels of Rs 5 lakh is quite high and attractive in these days of escalated medical costs. In summary, we feel that National’s Varistha Plan is the widest in scope. The only issue with the plans of the Nationalised Insurance companies is that the sum insured levels offered might not be adequate for today’s high healthcare costs. On the other hand, they are at least offering senior citizen health plans. It is very difficult to locate any meaningful health insurance scheme for senior citizens offered by any private health insurance company, except Star Health. The only problem that we see with Star Health’s Red Carpet plan is that of the Co-pay restriction.